Bugbee & Conkle will host its annual Labor & Employment Law Seminar on October 1, 2015 at Hilton Garden Inn, Levis Commons, Perrysburg, Ohio. You can register in the sidebar to the right. 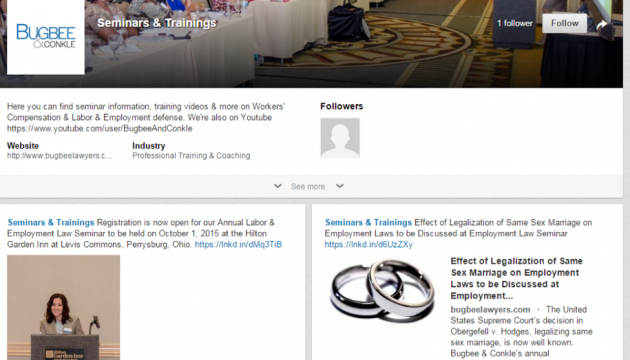 Don’t forget to follow our new LinkedIn Seminars & Trainings page for updated seminar information and brief training videos.